Work with Christ For the City’s tutoring programs and help make a difference in the lives of children-at-risk. Costa Rica has the highest literacy rate in Central America, and frequently boasts of its free education for all children, yet throughout the country there are pockets of impoverished families who must choose between educating or feeding their children. Education is free—but to attend school, parents must send their children in approved uniforms and footwear, and pay for a long list of school supplies and fees. Many families in the areas served by Christ For the City are living on a few dollars a month and all the necessary supplies can add up to $100-$150 per child each year. Children from this economic level attend overcrowded schools held in 2 or 3 shifts per day. Most learning must be done at home in cramped quarters sometimes without the use of electric lights, educated parents, or a quiet place to study. Christ For the City International programs offer hope to many families locked in poverty. CFCI programs in the slum areas of San Jose provide tutoring to children who desperately need to catch up on their education. Tutoring classes are held to coach school children in reading, writing, English and mathematics. We invite you become a tutor and join us in helping these children reach their goals and break out of the cycle of generational poverty. 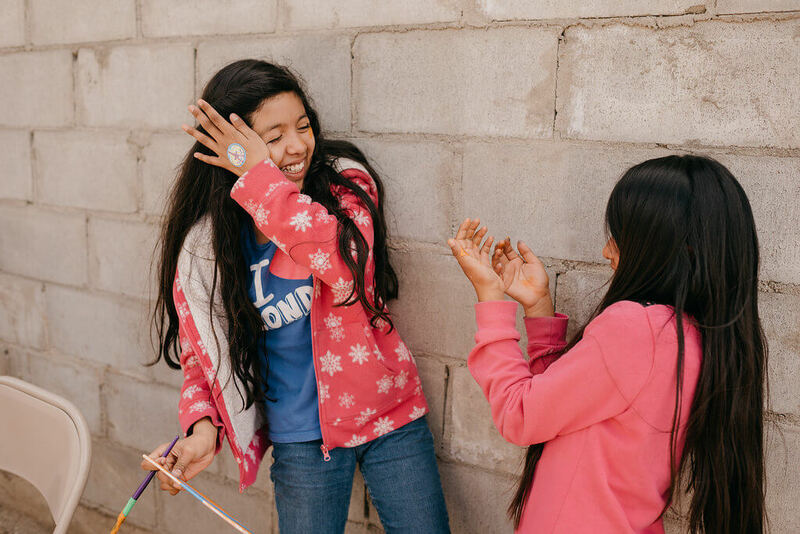 Not only can you make a difference in their circumstances, but you will build relationships with kids that will allow you to share God’s love.